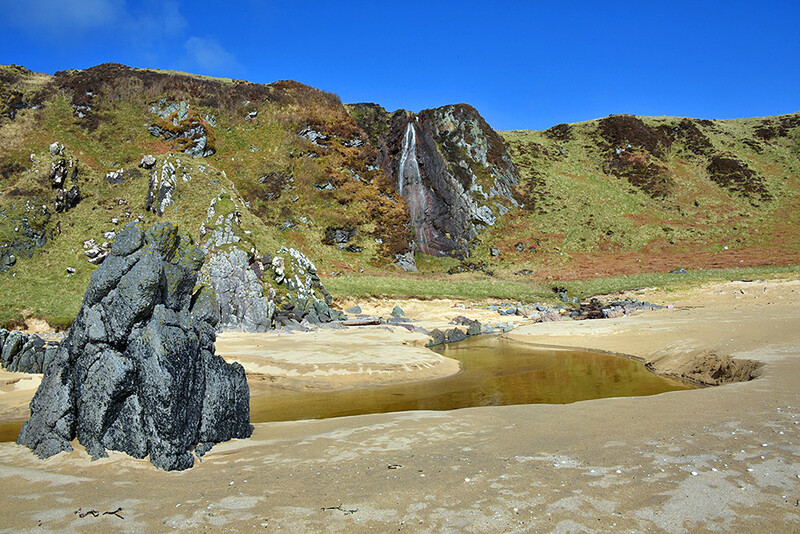 The beach and the waterfall in Port an Eas on the south coast of Islay are probably one of the most photogenic places on the island. This view takes in both, the waterfall cascading down the steep cliff face before running over the beach and into the sea. Looks lovely. A part of Islay I haven’t seen. A beautiful and fairly hidden place, you can quite easily walk past it if you don’t know where it is. I must look on the map where it is. If I ever visit Islay again I will go there. Go south west from the Singing Sands for about a mile and you’re there.